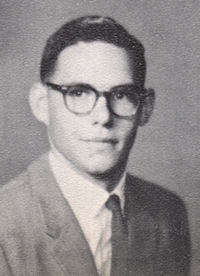 Obituary – Voss, Larry Ray « Perry High School Alumni Association, Inc.
﻿Football ’59-’62; Basketball ’58-’59; Track ’60-’61; Football Co-Captain ’61-’62. Larry R. Voss, 73, of Perry, passed from this life on Sunday, September 4, 2016 at home. Funeral services have been entrusted to Palmer Marler Funeral Home in Perry. Family Visitation will be Thursday, September 8, 2016 from 6-8 PM at the funeral home. There will also be extended public viewing on Friday, September 9, 2016 from 9 AM to 8 PM at the funeral home. Funeral services will be at the First Baptist Church in Perry at 2 PM on Saturday, September 10, 2016 with interment to follow at Grace Hill Cemetery. Larry was the son of Lambert William and Juanita June (Phenis) Voss and was born March 22, 1943 in Perry, OK. He attended Perry Public Schools and was a 1962 graduate of Perry High School. He worked two years on the Vance Air Force Base crash rescue unit. Larry was a Perry City fireman for 10 years and a Perry call fireman for 13 years. Larry later worked as a welder at Charles Machine Works until retiring in September, 1999. He served his country with the Oklahoma National Guard from 1961-1967. Larry and Georgia Kathleen Newton were married on April 5, 1963 at Christ Lutheran Church in Perry. He was a member of the First Baptist Church and was recognized for having served on the Perry Quarterback Club chain gang for more than 20 years. 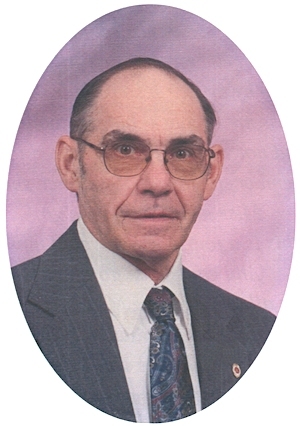 In addition to his wife, Georgia, Larry is survived by two sons, Larry W. Voss and Kenneth L. Voss, both of Enid, OK; one daughter, Myrna L. Kothe and husband, Jerry, of Perry; five grandchildren, Lindsey Kothe; Laci Kothe and Matt Sadler; Kaden Voss; Carson Ewing and husband, Richard; Connor DePriest; and three great-grandchildren, Sydni St.Clair, Lincoln Sadler, and Reid Ewing. He was preceded in death by his parents, and twin brother, Garry Voss. The family has requested memorials to the Multiple Sclerosis Society, Wounded Warriors Project in care of Palmer Marler Funeral Home.